With Gabi Leighton and Laurel Serieys. I really had no way of telling how I would respond. 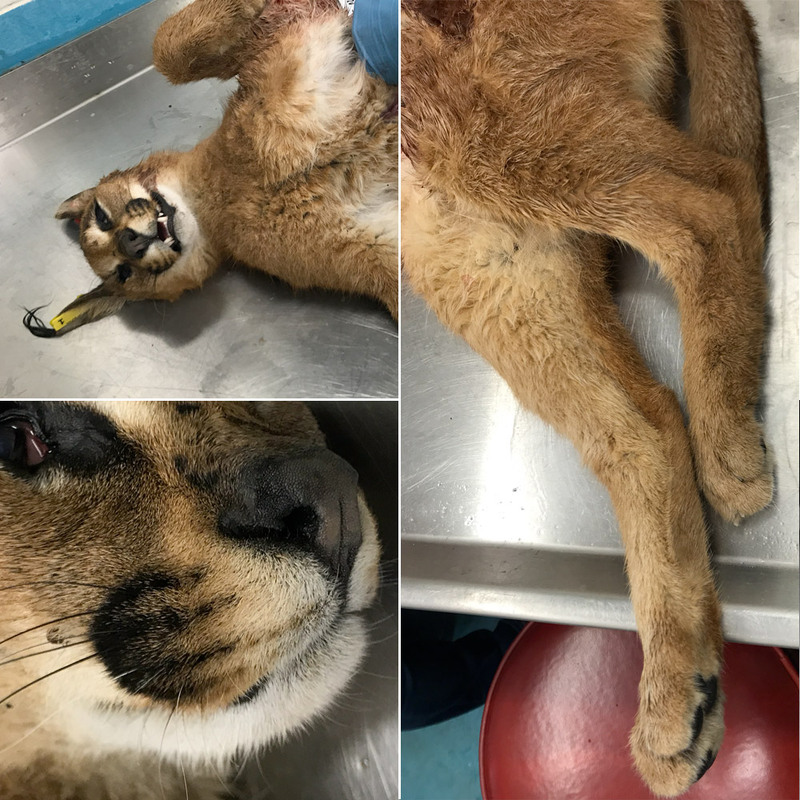 The caracal, had been hit by a car, the genet was a victim of the highways as well. Both Laurel and Gabi worked swiftly, taking measurements and making notes where necessary. I had a little time to observe the texture of the fur, high ocular structure of the head, teeth and ankles phalanges. I mention these parts because I feel quite peculiar to the caracal and would help distinguish them from other felids. 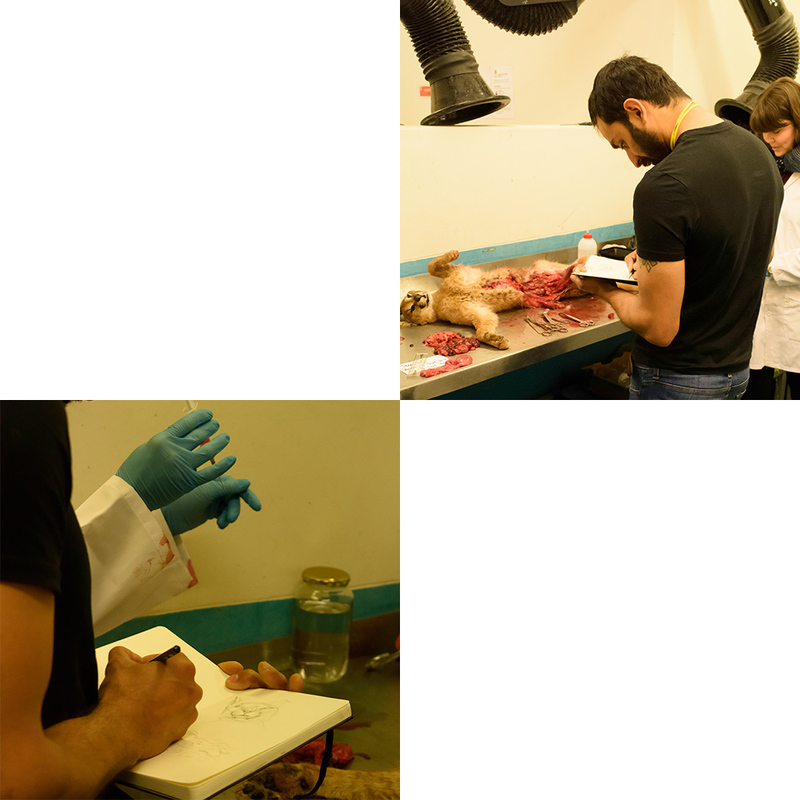 I had recently started followed Kervin’s wildlife photography, it was a happy coincidence that he swung by to document the autopsy.